This product requires the base game Hyperdimension Neptunia Re;Birth1. 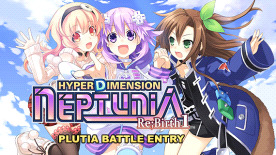 With this DLC an event will occur when you access Information at Planeptune to gain Plutia as a playable character. *You must progress to Chapter 2. *If this DLC event was already seen, it will not occur again.